This product is sold out and we do not know when we will be getting another shipment. We apologize for any inconvenience this may cause. Check similar items below to see if a replacement product is available. 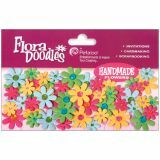 Flora Doodles Jeweled Paper Florettes .625" To 1" 80/Pkg - PETALOO-Flora Doodles: Jeweled Florettes. 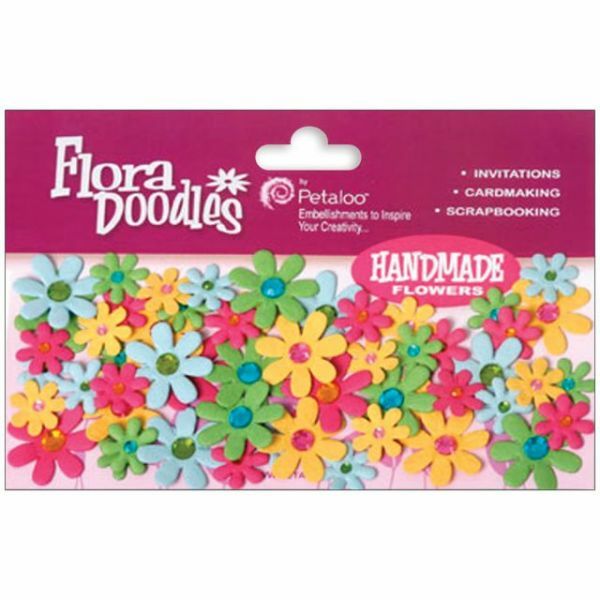 Pretty little paper blooms in assorted colors and jeweled centers ready for scrapbook layouts, greeting cards and other paper craft projects. Each package contains eighty blossoms: 5/8in and 1in. Choose from either all white or four-color combinations. Colors vary by design. Imported.